If you or a loved one live with medical issues, Best Security’s Personal Emergency Response System (PERS) may be the technology you need to assure peace-of-mind. With just the push of a button, our medical alert system will connect you with our 24-hour Canadian call centre where qualified staff will assess your medical situation. Call centre staff will then contact your family or emergency services to ensure you receive the prompt medical attention and support you need. With Best Security’s Personal Emergency Response System (PERS) help is available at the push of a button. Your health and safety is a top priority which is why Best Security offers reliable, easy to use medical alert systems and equipment. With a variety of medical alert products available, Best Security can provide peace of mind and the support you need in an emergency. Best Security offers Personal Emergency Response Systems (PERS) that are 3G operated and require no phone or IP service. These modern medical alert systems communicate with our call centre via cellphone towers, so you still have access when the phone lines are down. Due to the unique nature of the networks, Best Security requires a subscriber package for 3G medical alert coverage. The SentryPal system offers a small, lightweight, water-resistant pendant that allows you to communicate via two-way voice. Powered by cellular and GPS technology, you can take the SentryPal with you nearly anywhere and can rest easy with the knowledge that help is just available at the push of a button. 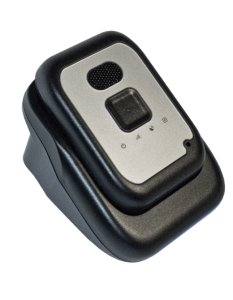 The SentryPal’s single button operation is the easiest way to call for help whether you are at home, at the park or anywhere else you may need help. Plus, the GPS technology allows our call centre to locate you and can also tracks the location history of the pendant. The PERS 4200 operates as a standalone tabletop unit with a 1,000-foot range. With the PERS 4200, help is available at the push of a button. At Best Security Okanagan, we understand how important your health and safety is. 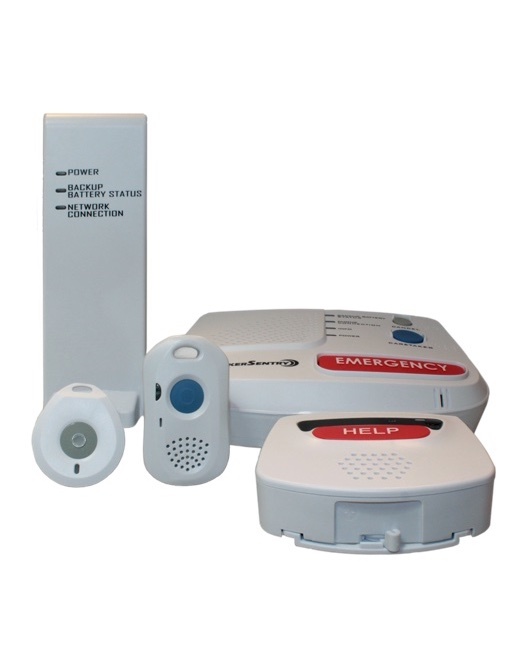 Our Personal Emergency Response Systems can offer peace of mind and emergency assistance at the touch of a button. 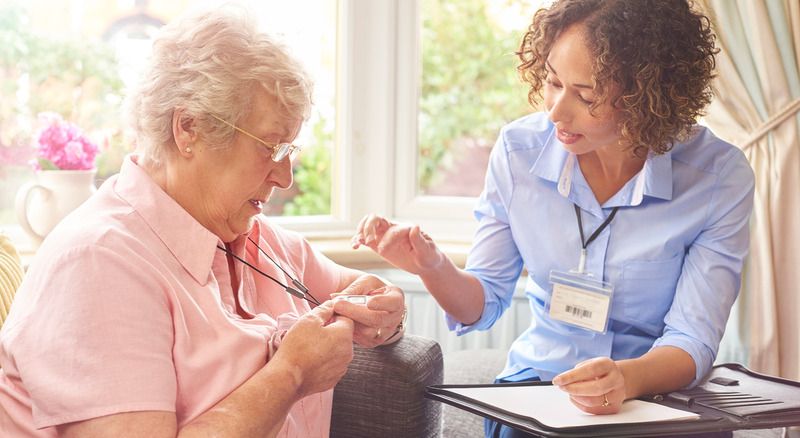 We also understand that those with health issues and age-related concerns may experience a change of living circumstances, which is why Best Security Okanagan is happy to offer Medical Alert systems and services without the need for a contract*. Designed for personal use, the PERS-2400B functions as a tabletop or wall-mounted unit with pushbutton emergency assistance for security and peace of mind. Each button is molded and features braille characters for the visually impaired. 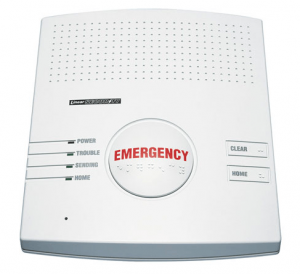 The emergency alarm can be triggered by the EMERGENCY button on the PERS 2400 console unit or with a wireless transmitter and the console can receive signals from up to 16 wireless transmitters. Coordinating fire alarms and carbon monoxide detectors are also available, working with the PERS 2400 to send the appropriate alarm report to the central monitoring station via the standard telephone network. An optional activity timer can be set for 8, 12 or 24-hour operation, automatically triggering the emergency alarm if an activity transmitter or the console’s HOME button isn’t triggered before the time elapses. 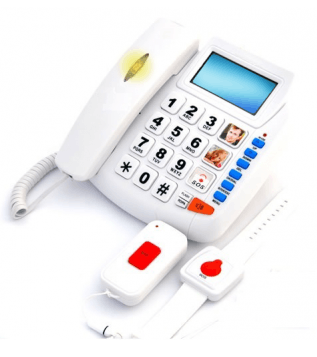 This easy-to-use medical alert / emergency phone system is a top choice for seniors. With support for up to 5 wireless pendants that can automatically call up to 10 emergency phone numbers, the SOS phone system offers enhanced security and emergency help. Your wireless pendants are effective for a distance of up to 100 feet from the base unit, giving you the freedom you need within your home and yard. Other features of the SOS Phone System include a hearing-aid friendly ringer and handset, a large display with backlight, waterproof bags for the wireless pendants, a hands-free speakerphone, and more. The CaretakerSentry offers a complete platform that is as simple or as full featured as you require with add-on accessories that provide scalable support as your needs change. Start with the CaretakerSentry base station and the waterproof pendant, or upgrade to the two-way voice pendant enabling you to speak with the operator directly through the pendant. 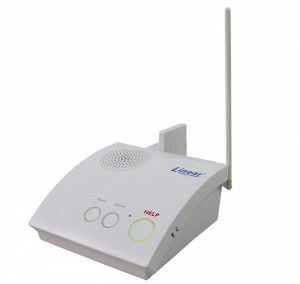 Select the emergency wall communicator, which offers two-way voice communication with the central station, for additional support in select areas of your home. The optional cellular accessory can also help you stay connected with the central monitoring station without the need for a landline telephone. *Please note that cellular and 3G PERS systems require a contract to ensure service. Our traditional Personal Emergency Response Systems are available month-to-month with no contract required.